One of kind, beautiful private property, excellent location! Rare find! Beautiful, private, fully fenced, acreage in desirable Stafford area. 4 bedrooms, 3 full baths with master on main. Vaulted ceilings, cedar wood interior, fully finished daylight basement with 2 additional bedrooms, large great room, and separate entrance. Enjoy tons of natural light from all rooms, warm hardwood floors, and gorgeous wood detailing. Garden space, barn, shed, greenhouse. 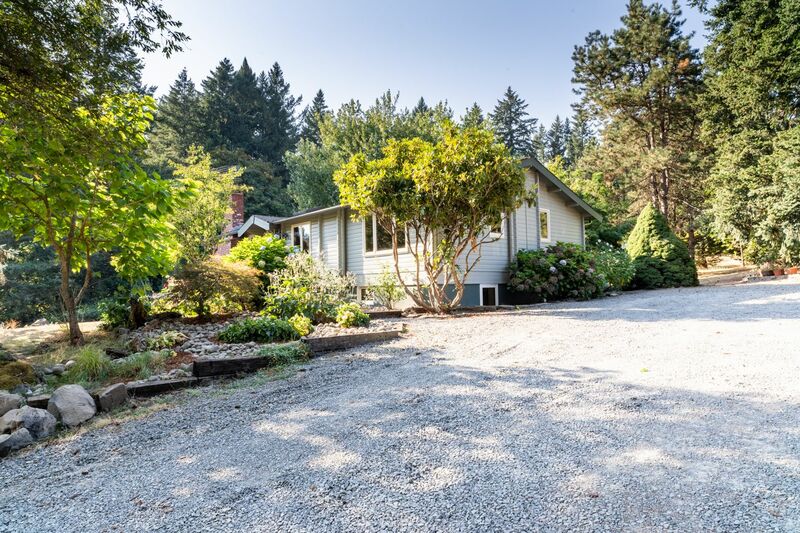 Excellent location with easy access to I-5 and I-205. Don’t miss this one! New photos just added!